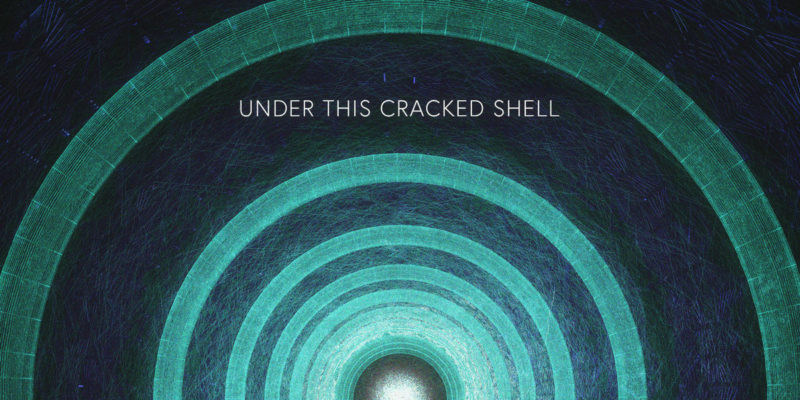 Under This Cracked Shell is an intriguing and beautifully appealing artist name in itself. Before listening I was drawn in by the possibilities – this metaphorical description, it seemed, of the human experience, held the potential to explore those inner feelings, joys and difficulties, that we all – often quietly – go through. And so, the artist fits his role in attempting to walk through those territories on behalf of the listeners who previously felt too alone to do so. Fortunately, The Path as a short collection, makes for a stunning and rather uplifting listening session, within which the mind opens up to any and all of the ideas the individual deems relevant. It’s a unique experience or journey, as it were, for all who hear it, but it’s lightly and professionally guided by the creative behind it. The project’s title track starts things off with a short burst of calm and colour, laying the foundation well and reminding you to settle down for a while, to let yourself relax and have the music simply surround you. Crossing the Courier follows and feels like a logical next step. The instrumentation is gentle but deeply expressive, the progression of these notes – rising and then falling a little – there’s hope and uncertainty intertwined, which again fits the feeling of so many moments of great change within a life. The piece grows stronger and more intense as things progress, the drum-line offers a touch of drama and weight, the distorted, distant riffs fill the outer edges, the volume increases, as does the pace (or so it seems). You feel as if you’re moving faster and faster, but that everything around you is completely still and silent. Outrunning Emotions is another title that is likely to appeal to the deep thinkers or emotionally fragile members of the audience. The music that comes through is beautiful, lightly echoed notes – simple and hypnotic – contrast with a slightly quicker underlying rhythm, and again things start to build and evolve as we set off running. There’s a notable fusion of the organic and electronic worlds here, all in all creating something rather dreamlike but still relevantly connected to the human touch. The Climb offers a similar meeting of elements, the drums and the guitar line feel very real, intimate and in the moment, other aspects seem a little more out-there. This grows to be a totally entrancing piece, spacious and thoughtful, letting your mind wander in an optimistic manner. A personal favourite. 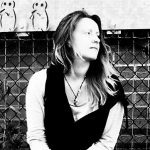 Always the artist Under This Cracked Shell professionally and creatively crafts these dramatic and emotional musical build ups. This particular track holds certain energizing properties that have so much value in why and when we turn to music. Falling into the Bay feels like more of a wave of synth-driven, dreamlike ambiance than anything as clear-cut as before. These cascading, contrasting sounds and notes create a delicate sense of chaos around you. The Path Rediscovered follows and brings the project to a close in a pretty special way. There’s a familiarity to the combination of chords and lone notes from the piano – it feels peaceful, complete; a fitting mood for the end of the experience. The music is simple yet effective, not trying to be anything other than what it is, than what the artist meant for it to be. As always, the emotion grows throughout, drawing you in further, filling you with that overwhelming sense of possibility that was hinted at right at the beginning. Perhaps it will feel different to each who hears it, hopefully the good intentions run far and wide though. An easy project to return to again and again – I look forward to hearing more. Music by Eric Robertson, artwork by Alex Liou. Download the EP via Bandcamp. Find & follow Under This Cracked Shell on Facebook.